North Korea said Wednesday that it won't allow outside inspectors to take samples from its main nuclear complex to verify the communist regime's accounting of past nuclear activities. Pyongyang's Foreign Ministry said in a statement that it never agreed to such sampling, contradicting statements by U.S. officials last month following a breakthrough deal about how to verify North Korea's list of nuclear programs the regime submitted in June under a disarmament pact. The conflicting statements could prove to be a new snag in the long, tortured process of nuclear disarmament on the Korean peninsula. North Korea has agreed to give up its nuclear weapons but had bickered with the U.S. over verification, with Washington insisting on strict measures to ensure Pyongyang is not hiding any active atomic programs. U.S. officials said last month that North Korea agreed to allow atomic experts to take samples and conduct forensic tests at all of its declared nuclear facilities and undeclared sites on mutual consent. Sample-taking is believed to be a key means of nuclear verification. On Wednesday, the North's Foreign Ministry said the country agreed last month only to let nuclear inspectors visit its main atomic complex, view related documents and interview scientists. Pyongyang also said only its Yongbyon atomic complex is subject to verification, and inspections can take place only after it receives all energy aid promised from its negotiating partners - China, Japan, South Korea, the United States and Russia. "It is an act of infringing upon sovereignty little short of seeking a house-search ... to insist on adding even a word except the written agreement reached between" the two countries, said the statement carried by the North's official Korean Central News Agency. The U.S. Embassy in Seoul had no immediate comment on the North's statement. If the North's statement is true, it provides the first details about last month's negotiations in Pyongyang between the North and the chief U.S. nuclear envoy Assistant Secretary of State Christopher Hill. That deal led to Washington removing Pyongyang from its terrorism blacklist and North Korea resuming disabling its nuclear facilities that the regime had suspended for two months amid the verification row. Pyongyang alarmed the world in 2006 by setting off a test nuclear blast. 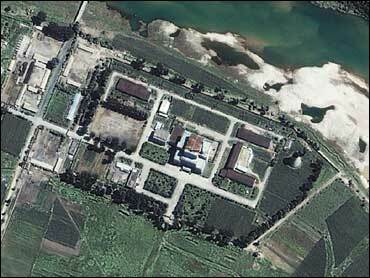 In February 2007, North Korea agreed to disable Yongbyon and declare all its nuclear programs as a step toward its ultimate dismantlement. In exchange, the impoverished communist nation was promised energy aid worth 1 million tons of fuel oil and other concessions, including removal from the U.S. terrorism list. In Wednesday's statement, the North also complained about a delay in energy aid shipments, saying it has slowed disabling the Yongbyon nuclear reactor in response. About half the promised aid has been provided to the North so far, while the North has completed eight of 11 required steps to disable the nuclear complex. The U.S.-North Korea deal on verification has been awaiting endorsement at formal six-nation nuclear talks that have yet to be scheduled. North Korea said Wednesday it had agreed to a proposal from host China that the talks convene on Oct. 18.